Honda Battle of the Bands is HERE! The Honda Battle of the Bands is BACK! This Saturday you can catch all the action LIVE courtesy of our friends @CampusInsiders. Here is a direct link that will take you to the live stream online or you can watch it live on Twitter! All the action starts at 3pm EST. Over the last 15 years HBCU bands have gathered in Atlanta for the epic band battle known as The Honda Battle of the Bands. 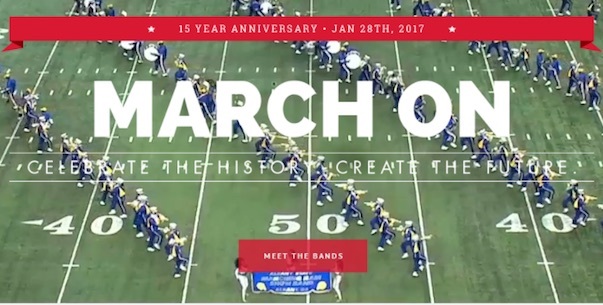 The bands are selected through a process that includes online fan voting, as well as feedback from band directors, HBCU school presidents and Honda representatives. Each of the final eight bands receive an all-expenses paid trip to the Invitational Showcase, and their universities receive a $20,000 grant from Honda to support their music education programs. And as a thank-you to all the bands who participated in this year’s voting process, Honda will donate $1,000 to their respective schools’ music programs.